For most lawyers, marketing doesn't come so naturally. 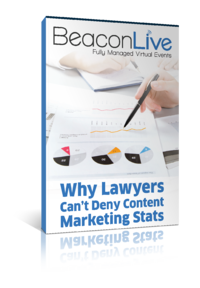 However, all lawyers can benefit from content marketing. The primary challenge is making lawyers and other legal professionals feel good about adopting content marketing techniques, even though putting them into practice may take them outside of their comfort zone. So, how can legal marketers accomplish this? Plus, content marketing data that speaks volumes... and more. Simply fill out the form to download our free white paper!